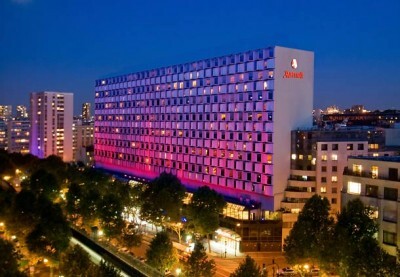 The conference will take place in Holiday Inn Paris Gare de l'Est, 5 rue du 8 Mai 1945, 10th arr., 75010 Paris, France. A detailed guide with all the information that you need regarding the location will be available on this page in the near future. Paris had always been a destination for traders, students and those on religious pilgrimages, but its 'tourism' in the proper sense of the term began on a large scale only with the appearance of rail travel, namely from state organisation of France's rail network from 1848. One of Paris' first 'mass' attractions drawing international interest were, from 1855, the above-mentioned Expositions Universelles that would bring Paris many new monuments, namely the Eiffel Tower from 1889. Eiffel Tower These, in addition to the Capital's 2nd Empire embellishments, did much to make the city itself the attraction it is today. Paris' museums and monuments are by far its highest-esteemed attractions, and tourist interest has been nothing but a benefit to these; tourism has even motivated both city and State to create new ones. The city's most prized museum, the Louvre, sees over 8 million visitors a year, being by far the world's most visited art museum. Paris' cathedrals are another main attraction: its Notre-Dame cathedral and Basilique du Sacré-Cœur receive 12 million and 8 million visitors respectively. The Eiffel Tower, by far Paris' most famous monument, averages over 6 million visitors per year and more than 200 millions since its construction. Disneyland Resort Paris is a major tourist attraction not only for visitors to Paris, but to Europe as well, with 12.4 million visitors in 2004. The Louvre is one of the largest and most famous museums, housing many works of art, including the Mona Lisa (La Joconde) and the Venus de Milo statue. Works by Pablo Picasso and Auguste Rodin are found in Musée Picasso and Musée Rodin respectively, while the artistic community of Montparnasse is chronicled at the Musée du Montparnasse. Starkly apparent with its service-pipe exterior, the Centre Georges Pompidou, also known as Beaubourg, houses the Musée National d'Art Moderne. Lastly, art and artefacts from the Middle Ages and Impressionist eras are kept in Musée Cluny and Musée d'Orsay respectively, the former with the prized tapestry cycle The Lady and the Unicorn.